Looking for a diverse, well-established company? We are known in the industry for well paid employees, baseball teams, golf tournaments, and profit sharing. McMurray Interiors recruits and trains the best apprentices in the business. We employ cabinetmakers, CNC operators, drafts persons, and other service personnel to manufacture our products. Follow the links to your application and interview now! Think you have what it takes? Apply and find out. Become part of our team! Take a look at the great opportunities below to see if we are the company you are looking for. McMurray Interiors gives profit sharing to it's employees? McMurray Interiors pays for apprenticeship schooling if the student achieves 80% or higher ? 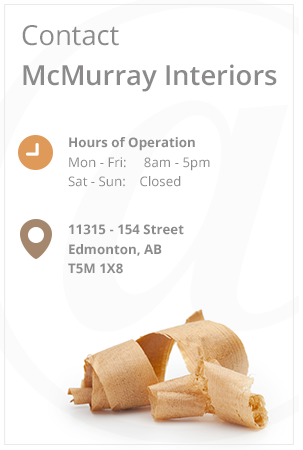 McMurray Interiors currently has 4 female cabinetmakers? McMurray Interiors has been in business for 58 years? Now that is JOB SECURITY !! Cabinetmakers from other countries are welcome here, and we have successfully transitioned them to our shop from other countries. Contact us, and maybe we can bring you to our shop! Experienced estimator required for full time position. Site Superintendent required for full time positions.